You've been warned, I have no inner filter, so ranting, raving, rambling, babbling, hissy fits, tantrums, and full blow tirades, can and should be expected, sometime in the near future! I'm just sayin. 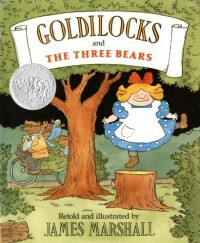 Tradition goldilocks and the three bears, but always a classic.